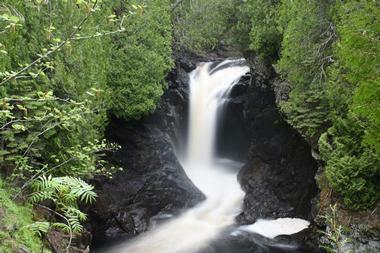 Lutsen, Minnesota, is a town, a resort, and a mountain all rolled into one. A popular ski destination, Lutsen offers great skiing, an excellent golf course, fantastic hiking through the Lutsen Mountains, and a range of charming businesses along Highway 61, which is also Lutsen’s downtown. Hugging the rugged, rocky coast of Lake Superior, Cascade River State Park is located at the northeastern tip of Minnesota and has more than its share of nature’s majesty. With the rushing Cascade River, spectacular waterfalls, deep gorges with black volcanic rocks covered in moss, and old cedar, spruce, and birch forests with many different types of wildlife, Cascade River State Park is a magnificent spot for hiking, mountain biking, and cross-country skiing. Numerous smaller trails link with the North Shore State Trail and the Lake Superior Trail, offering spectacular views of Lake Superior. The park has several drive-ins and campsites for those who want to stay longer. Lutsen Mountain Tram is an aerial gondola that offers fantastic views of the Sawtooth Mountains and the scenic, rugged coast of Lake Superior. This popular North Shore attraction takes visitors on a breathtaking ride to the top of Moose Mountain, 1,000 feet above Lake Superior. You will stop at the Summit Chalet at Lutsen Mountains, a lovely mountaintop chalet where you can relax, have lunch, and enjoy the views of the lake. It is no surprise that the chalet, with its spectacular views and great amenities, is a popular site for weddings. From the chalet, you can take one of many trails through the Lutsen Mountains, enjoy the view, and hope to spot the wildlife that makes this mountain its home. 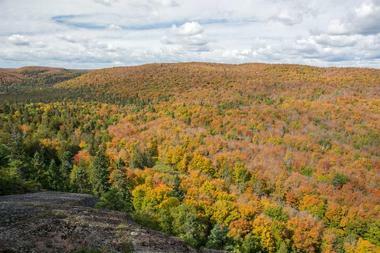 The magnificent Sawtooth Mountains tower more than 1,000 feet above the coast of Lake Superior. Lutsen Mountains, with its diverse topography that is unique for the Midwest, is a perfect location for the Lutsen Mountain Resort, the largest ski resort in mid-America. It has it all: High mountains, an average of 10 feet of snowfall a year, and the breathtaking beauty of Lake Superior’s North Shore. Lutsen offers more than 95 runs on four mountains with interconnecting peaks, with a 825-foot vertical rise. 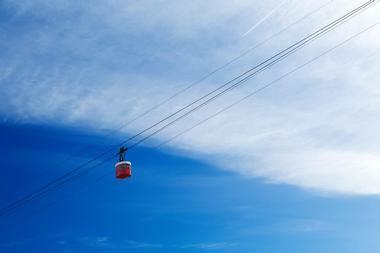 There is a new eight-passenger gondola and a new six-passenger high-speed chair lift. With great accommodation all year round, slope-side and mountain top dining, and live music every night, Lutsen Mountains is a great destination for family vacations, weddings, or a couple’s retreat both in the winter and in the summer. 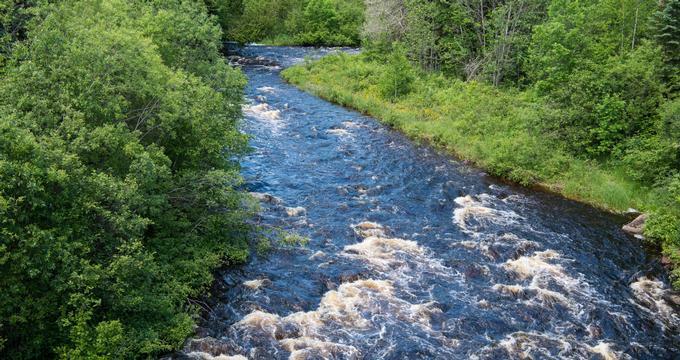 Running for about 17 miles through Cook County in northeastern Minnesota, the Cascade River spills into Lake Superior between Lutsen and Grand Marais. At its lower end, it rushes through Cascade River State Park along a narrow, shady canyon, dropping down majestically in a series of waterfalls and cascades. 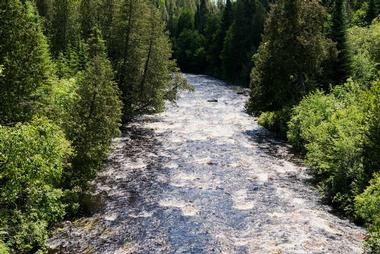 There is a network of trails in the park; some of the most scenic ones follow the river’s mossy banks. The trails, surrounded by dense forests of white pine, birch, and spruce, are very popular with hikers during the warmer months and with cross-country skiers in the winter. Those who like spending the night under the stars can find a spot in one of several campsites throughout the park. Carved from 400 acres of the Superior National Forest, the Superior National Golf Course offers 27 holes in the beautiful Poplar River valley with breathtaking views of nearby Lake Superior and the majestic Sawtooth Mountains and surrounded by lush forests. No wonder this newly renovated golf course was called “the Cadillac of Minnesota golf courses” by Explore Minnesota. Superior National is an Audubon Cooperative Sanctuary. During the latest renovation, the river and canyon courses were refined by renowned architect Jeffrey Brauer with five sets of tees, white sand bunkers, and an environmentally friendly irrigation system. 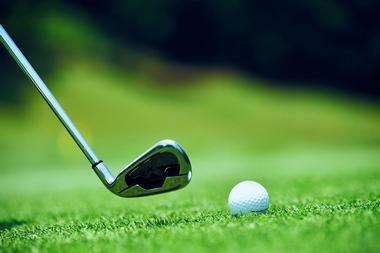 The Superior National is equally attractive and challenging to experienced golfers and to those just discovering the game. 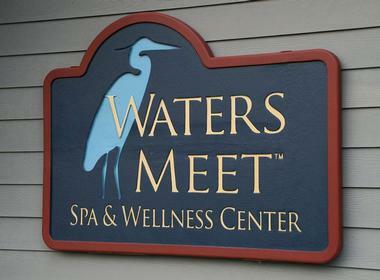 Located just off Highway 61 on the outskirts of Lutsen, WatersMeet Spa and Wellness Center is located in a relaxing setting on the banks of Lake Superior. The spa’s team of experienced therapists provide each customer with a custom-tailored treatment in order to meet their unique needs. Besides massage therapy, the spa offers a full range of services that include facials, manicures, pedicures, skin treatments, waxing, and much more. The spa is also the only source for Aveda products in the area. A network of well-maintained trails links WatersMeet to other Lutsen Resort facilities, such as a swimming pool, sauna, gift shop, lodge, dining room, and pub. 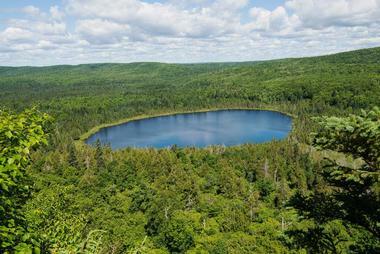 A spur trail off of the Superior Hiking Trail, the Oberg Mountain Loop Trail is a 2.6-mile very popular and well-used loop trail with a trailhead near Tofte, Minnesota. This moderately challenging trail runs primarily through large, mature forests. Nine overlooks offer wonderful views of Lake Superior, Moose Mountain, and Oberg Lake, with the North Shore Sawtooth backcountry in the background. The trail starts with a few mild switchbacks that lead on an easy loop to the top of the 1,000-foot Oberg Mountain, with steep cliffs at the top. With rock ledges and cliffs along the way, keep an eye on the kids. Dogs on a leash are also allowed on this trail. 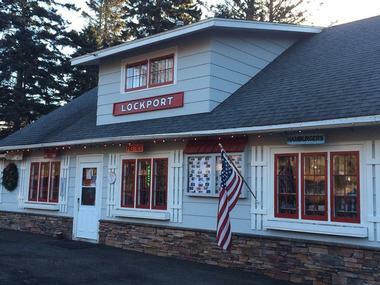 A North Shore landmark since 1928, Lockport Marketplace and Grill is a family-owned one-stop shop where you can fill your car with gas, have wonderful French toast for breakfast with the best coffee in town, load the car with groceries and supplies, and relax on the back porch while watching deer grazing peacefully. This charming little place off Highway 61 used to be just a gas station, but each consecutive owner added a bit of authentic northern Minnesota atmosphere to make it a must-stop place on your way to the Lutsen Mountains. 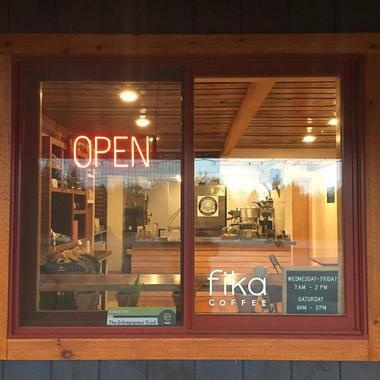 Don’t forget to try their delicious flaky pies and home-made pastries and fill your cup with their excellent hot coffee. 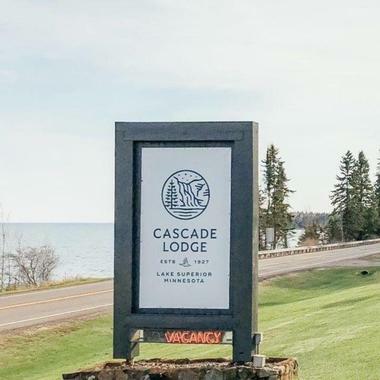 Located on the North Shore of majestic Lake Superior in Lutsen, Minnesota, Cascade Lodge and Restaurant is a historic property with a main lodge built in 1930 and log cabins snuggled amongst birches and pines. The rustic but very charming restaurant has a massive rock fireplace and cozy decor with wagon wheel chandeliers and mounted animal trophies. The food is prepared with local fish, meat, and produce and the menu consists of everyone’s favorites such as crispy fried coconut-crusted walleye fingers, steak bites with Cajun sauce, or juicy half-pound juicy beef burgers. The view of the lake from the dining room is breathtaking. Lutsen Resort’s Lakeside Dining Room is located in the historic Lutsen Lodge on the very edge of majestic Lake Superior, easily recognizable for its stately Scandinavian architecture. The large dining room has rustic decor yet also features elegant table settings with white tablecloths and fine cutlery. 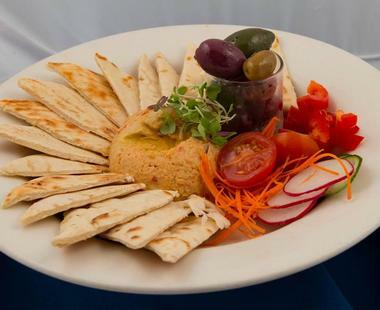 The restaurant offers a fine dining experience in a relaxed atmosphere and superb food, a blend of North Shore specials, Scandinavian dishes, and modern gourmet fare, with in-house baked breads and desserts. The restaurant has a respectable wine list with more than 125 labels. The breakfast buffet is very popular, as are their special holiday menus. 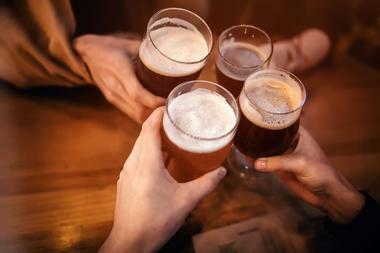 Located in the Caribou Highlands Lodge in Lutsen, Minnesota, Moguls Grille and Tap Room is a perfect spot for a business lunch, a cool brew with friends, or a dinner with family. 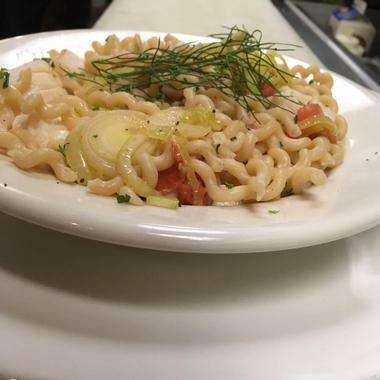 It cannot be more scenic – this slope-side ski-in-ski-out restaurant and tap room has fantastic views of the mountain, an eclectic atmosphere, and great food. The decor is more Scandinavian than Mogul, with a massive stone fireplace and large communal dining tables. The menu is standard American cuisine with everyone’s favorites and has a few nice local surprises: You have to try their wild meatloaf – a blend of ground chuck, elk, bison, wild rice, herbs, and spices wrapped in bacon and smoked. Moguls has a nice outdoor patio with magnificent views for those pleasant warm days. Papa Charlie’s Tavern & Stage is the place to be at Lutsen Mountains if you are looking for fun. This casual sports bar at Eagle Ridge Resort offers great food, cool drinks, games, a pool table, a large number of flat-screen TVs for those ongoing games, and regular live music. The views of the Sawtooth Mountains, Lake Superior, and the Poplar River Valley are breathtaking, especially from the large deck. The menu is contemporary American with a number of Northwoods-inspired specials. Try shareable duck wings with spicy plum sauce, kimchi, sesame seeds, and Gorgonzola dip. There is large stage for live music, which is played during the ski season by local musicians. 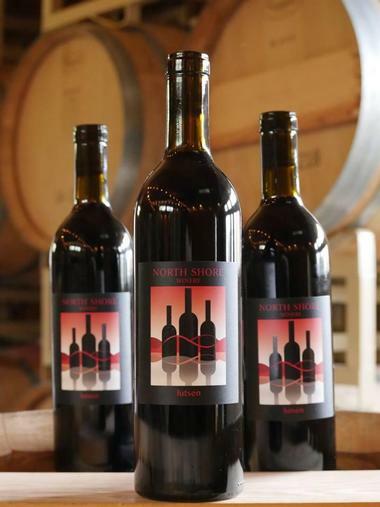 Located just off Highway 61 on the banks of majestic Lake Superior, the North Shore Winery and the Sawtooth Mountain Cider House can be reached by following the same road going to the Lutsen Ski Hill. The winery produces white and red wines using grapes grown in California and hard cider using apples grown in Minnesota. It is open to visitors, who can enjoy their wines and hard ciders inside, around the large picnic table or, on a warm dry day, outside by the firepit. Besides wines and cider, visitors can take with them some of the locally made crafts and artworks available at the winery.